An ancient Babylonian treasure is being returned to Iraq after it was illicitly taken from the country. The cuneiform kudurru, an official document drawn up on the orders of a Babylonian king, was seized at Heathrow airport in 2012. It is thought it was being illegally trafficked for the antiquities market, having been taken from Iraq during looting of archaeological sites between 1994 and 2004. 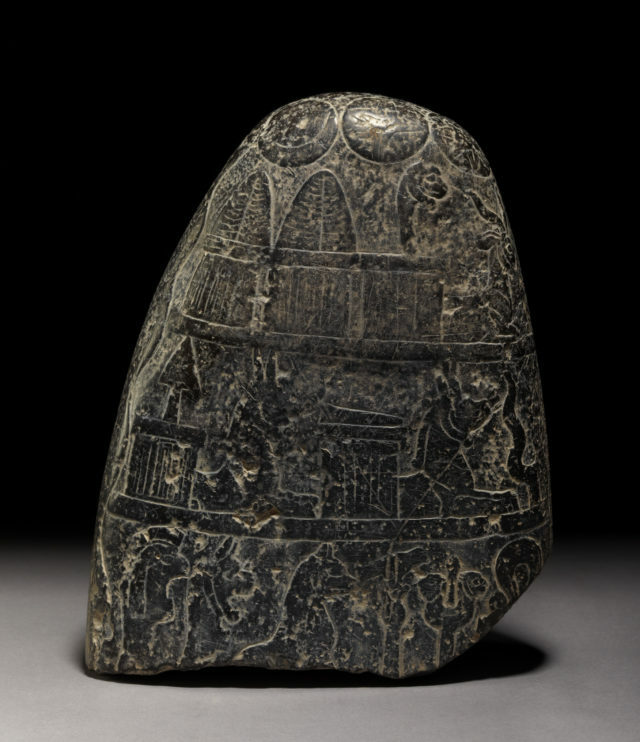 The boundary stone, which would have once been placed in a temple, will go on display at the Iraq Museum in Baghdad, having been identified by experts at the British Museum. It records gifts such as land given to an individual who has been of service to the crown and contains images representing the moon-god, the sun-god, and Venus. 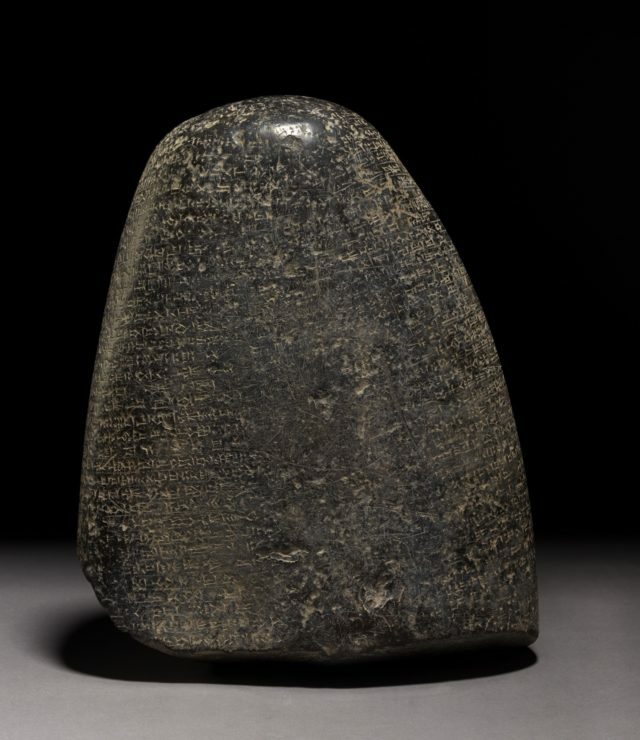 The stone dates to the reign of Babylonian king Nebuchadnezzar I, who reigned from around 1126 to 1103 BC. About 30cm high, it also contains a list of witnesses to the gift and curses anyone who might dispute it. Fewer than 200 examples of the type of Babylonian inscribed monument, complete or fragmentary, are known. The stone was officially handed to the Iraqi Embassy on Tuesday.